A modern geometric swimming pool shape that will fit most backyards. Ample space to take a dip while providing a full length bench and steps for relaxation and family fun. A modern geometric shape that will fit most backyards. Ample space to take a dip while providing a full length bench and steps for relaxation and family fun. 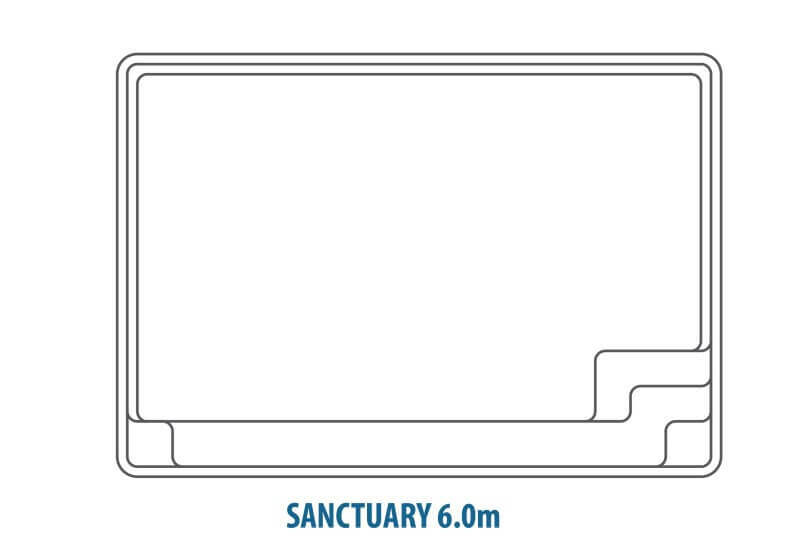 Some shapes in the Sanctuary fibreglass swimming pool range may differ from the 3D design shown. Click on the individual ‘view’ for specific pool design detail. Bi-luminite™ technology allows Compass Pools to provide a 10 year comprehensive cosmetic warranty*. All Bi-luminite™ ceramic pools are protected with ArmourShield (an extra layer of vinyl ester resin), so that your swimming pool maintains its stunning good looks for longer, and to protect it from the effects of long-term immersion in water. But if you’re looking to make some savings, then we also have the Vivid colour series that is still exclusive to Compass Pools, with our large colour chip technology creating amazing water colours. Colour disclaimer: While every effort is made to represent our pool colours accurately, the pool shell colour and water colour samples on this website are a guide only. For accurate colour information, click here to contact your local Compass Pools dealer. If you have any questions about the X-Trainer pool shell, its features and qualities, use the first button below to search for the nearest Compass swimming pools dealer to you or call our 1300 number (1300 667 445). If you like to make your own research before making the decision of starting the swimming pool project, explore our online resources, especially features of our swimming pools, our promise to you and the Pool 101 section. For those preferring to go through the information in a form of a hard copy booklet, click on the second button below and request a free printed pool magazine (pool buyers guide) which contains valuable tips for prospective swimming pool buyers. To learn more, watch our 3 videos below explaining the 3 selected benefits of Compass fibreglass swimming pools: The infloor self-cleaning system, ceramic core technology and the Maxi Rib technology enabling the installation of our swimming pools in difficult conditions. Let the Compass Vantage pool clean itself. The Vantage in-floor cleaning and circulation system is an inconspicuous network of cleaning nozzles built into the pool floor and steps (optional). These nozzles take turns to pop up and push water across the pool floor, forcing the dirt, sand and leaves towards the fixed head and MDX main drain for automated removal. All Compass Pools come with a Ceramic Core. When looking at a cross-section of a Compass composite swimming pool, the ceramic core can be clearly seen. It’s this core that sets Compass apart. It’s this core that gives increased panel stiffness and improved impact resistance. It’s this core that ensures you are buying the toughest, most durable and innovative composite pool in the world. We can build a swimming pool almost anywhere from hillsides, cliffs and even apartment rooftops! 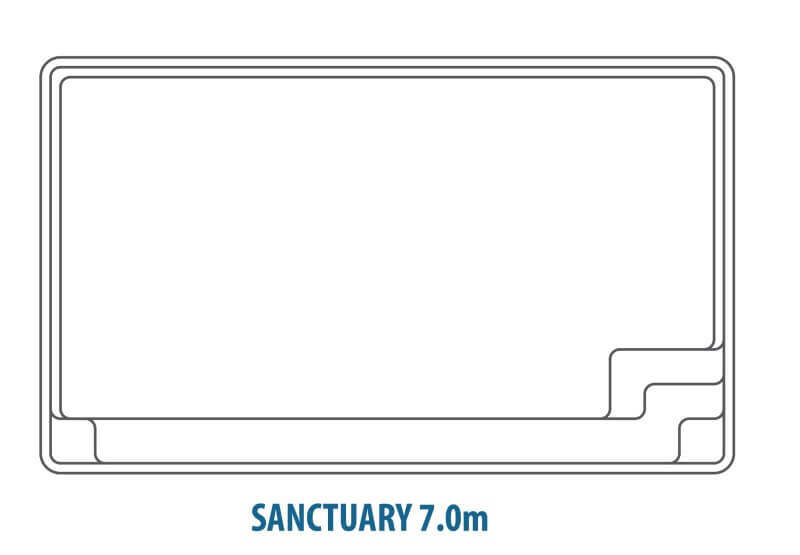 Thanks to our award-winning Maxi-rib technology, a system with a set of engineered rib-like structures which support the pool walls when installed above ground, Compass can offer an affordable and reliable option to anyone looking to install a swimming pool on a difficult or sloping site. This content has been associated with several topics. Click on any of the tags to display a list of related articles to find out more about the topic.